After 90 years of unparalleled service, the Grand Staircase on the Cathedral's Western Front is in need of repair. New York's rapid freeze/thaw cycles and millions of pilgrims footsteps have taken their toll. Pollution has also impacted the color and appearance of the stone. Clearly, the Club's help is needed! 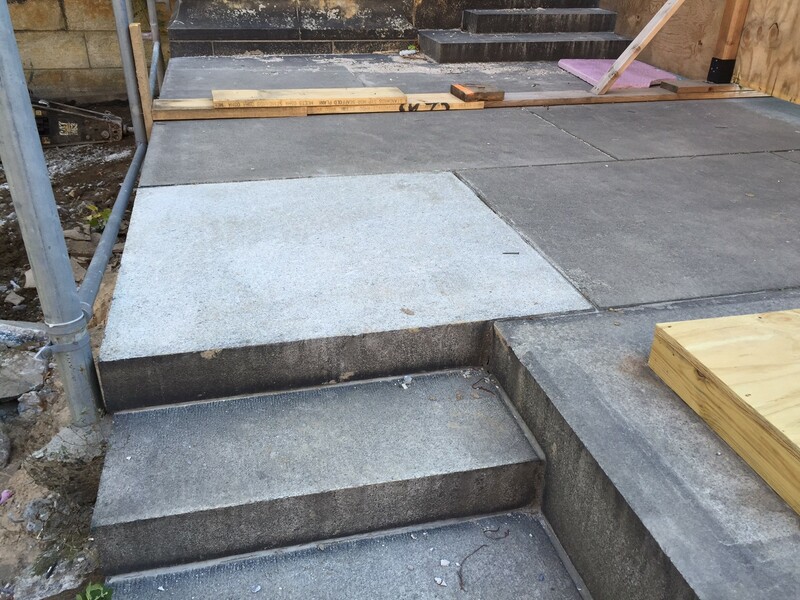 In collaboration with John MacKay, the Cathedral's Capital Projects Manager, the Cathedral has obtained competitive bids from qualified contractors to clean the steps, reset the stones which are out of position, and clean & caulk the riser and tread joints. This project should be completed by spring. As part of this project, new steps will also be added to the Grand Staircase to extend it around the north side to allow easy access to the cloister between the Cathedral and the new apartment building, called The Enclave. The Laymen's Club maintains a general fund, built up over the years through contributions from members and legacy gifts, which allows us to make regular contributions to capital projects on the Cathedral Close. We also augment our general fund by raising money for specific projects. The Grand Staircase is no exception. The Board of Governors of The Laymen's Club has set a target to raise $32,000 in additional funds toward the completion of this project. To make your contribution now by credit card, please click on the button below. As a 501(c)(3) corporation, your contribution to The Laymen's Club is tax deductable. For income tax purposes, we will send you a receipt stating that you did not receive any goods or services in return for this contributions other than intangible benefits. You made these gifts out of your own generosity and commitment. "Photo on left shows test cleaning of one of the steps. When finished, it should all look stunningly white!